This topic contains 7 replies, has 2 voices, and was last updated by BWSM 1 month ago. congratulations for the work on this theme. 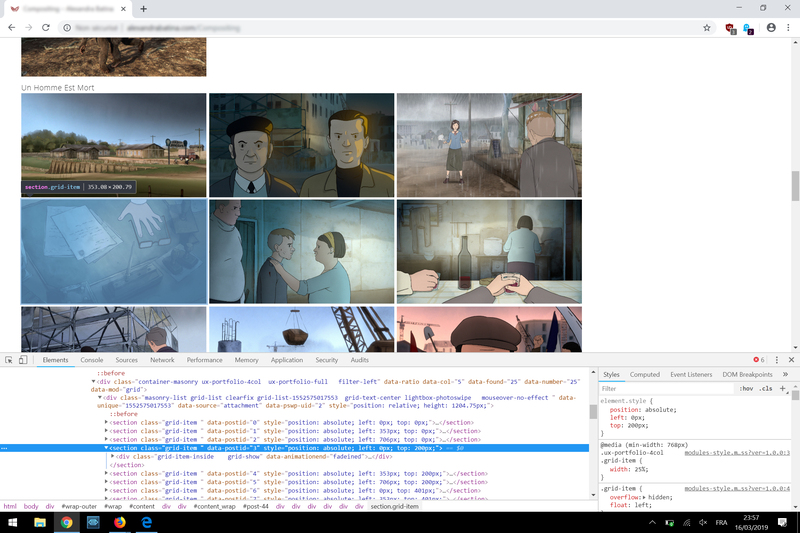 I’m having some trouble with a 4 columns grid (in BM Content Builder), with Chrome on a high resolution screen (Microsoft Surface). It works on Firefox, Edge and on others “standard” screens. When I choose 4 columns on a grid, with a 12/12 width, I get sometimes 3 images on a line, a blank space and the fourth image on the next line. I don’t know how to avoid this. Could you leave the issued page URL, I need to check it. Thanks! It happens on a 2256×1504 Surface screen. I don’t have the device to test. Please check if it fixed with this custom CSS. I tried, and it works, but it disables the smooth/nice animation when resizing the window. In place, the images from the grid go weirdly to bottom/right when resizing. Why apply it only for retina? I suggest you add (min-width: 768px)for @media also. I made the change only for retina because I’ve not this bug on normal screens, even on a dual screen (more than 3400 pixels of width). With your patch, which makes thankfully the 4 columns working on a retina screen (anyway for Microsoft Surface), it makes strange movements on the images from the grid when resizing manually the window. But the important thing is that the 4 columns layout is now working. However, there is no problem when choosing a 3 or 5 columns layout. Okay, thanks for sharing, I am not sure if it caused by retina screen. But I don’t have the Surface to test. We will check it further if we get new reporting.